The Wife’s wife chooses her favorite husband. Photo-Illustration: Maya Robinson/Vulture and Photos by Getty Images and Everett Collections. 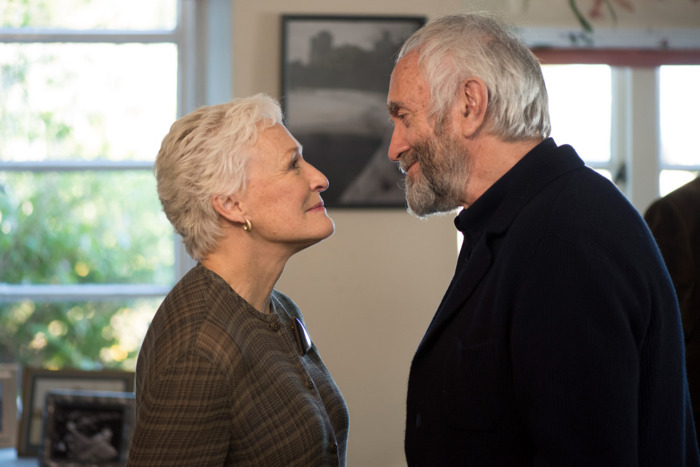 In The Wife, Glenn Close plays Joan Castleman, the long-suffering spouse to a literary behemoth. Joe Castleman (Jonathan Pryce) has written a hugely successful series of books that have scored him a Nobel Prize. When he answers the phone call alerting him to his award, he asks that they please hold while Joan gets on the line — she’s his body woman just as much she is his wife, plucking crumbs from his beard, and making sure that the Nobel fête meets his specifications. But Joe, it turns out, is a hoax: Joan’s the real literary genius in the family. On the heels of her Globes win, Close is the Oscar front-runner for so believably inhabiting a woman who loves her husband just as much as she resents him. Over the course of her career, Close has had her fair share of famous husbands, from Robert Redford to Christopher Walken (twice!). So we wanted to know: Of her five most memorable partnerships, which of her Movie Husbands made for the best marriage, and which left a little to be desired? Close was game to rank them all (with the exception of Michael Douglas in Fatal Attraction — they were not married, they were just lovers!). Here they are, in her own words, ranked from worst to best. 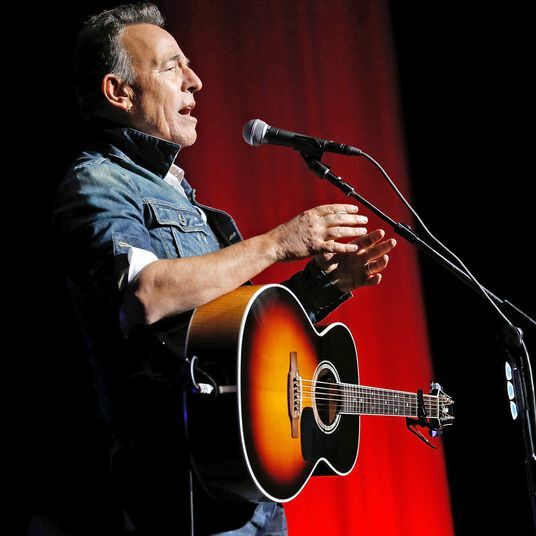 Close, a producer on the project, eventually won: In the first movie and two sequels, Walken plays Jacob Witting, who orders a mail order bride from Maine. “He’s just so beautiful in that part,” she said. But their remarriage, in the 2004 Stepford Wives remake, seemed to undo all that loveliness. 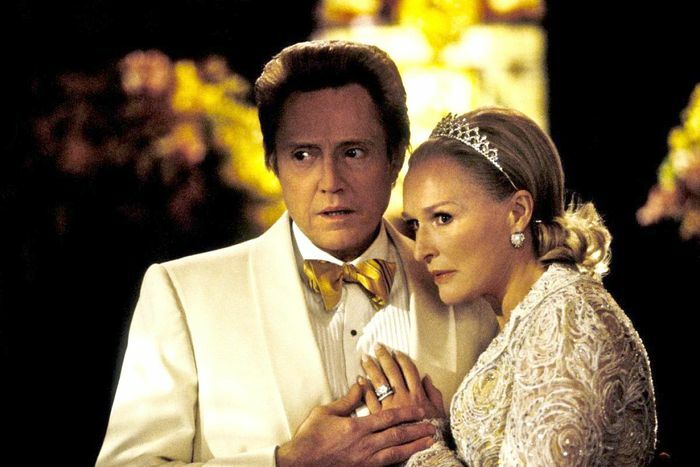 Walken and Close play Stepford’s alpha couple, Mike and Claire Wellington: He’s a chauvinist puffing cigars and barking orders at other men; she leads the women’s social calendar and insists on a warped, dated decorum. In the original movie, all the town’s women are robots, but in the remake’s twist ending, Claire replaces her philandering husband with a “perfect” robot version. “All I wanted was a better world, a world where men were men and women were cherished,” Claire snot-cries when her scheme is exposed. 4. Jack Nicholson in Mars Attacks! In the Tim Burton sci-fi comedy, Close played uptight First Lady Marsha Dale. She’s fussing with the White House’s décor, despite protests from her grumbling husband, President Dale (Jack Nicholson), and their morose, cynical daughter Taffy (Natalie Portman). Mars Attacks! has a collection of bizarro ensemble performances, but it’s the only movie that doesn’t take a big romantic swing. Instead, martians attack D.C., leaving Dale dumbfounded, and desperate enough to try to bargain with the aliens for his own safety over national security. “I’m killed by the chandelier at the end,” Close recalled. “Damn him! It’s fun working with him. [But] any guy that would pick himself over his family …” She’s had happier endings. 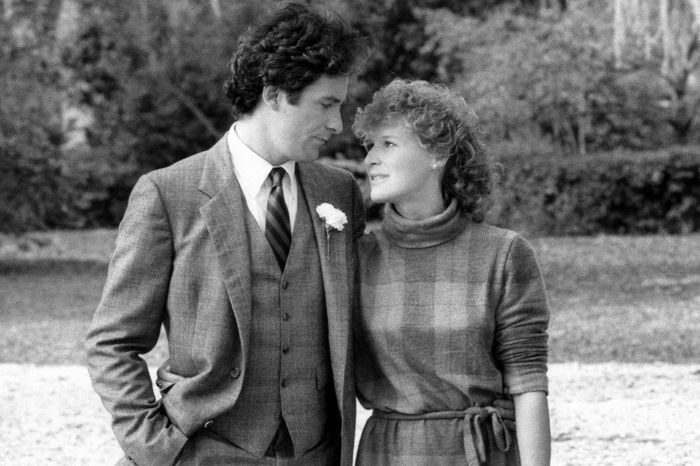 “He looks at me through that movie with such love,” Close said of Pryce’s performance as the philandering author. 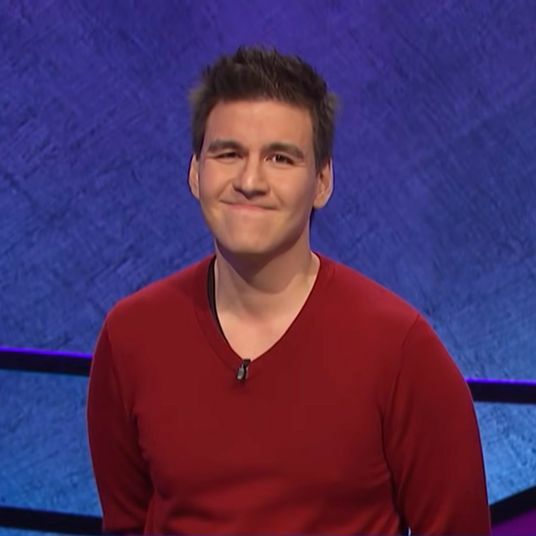 “I don’t think he doesn’t love Joan, but there’s a disconnect there.” Joe is basking in the glow of his Nobel Prize win, and his arrogance starts to get the best of him. He flirts with a 20-something photographer and throws his weight around. He tells an admirer, in passing, that his wife doesn’t write. In reality, she’s been writing his acclaimed novels for him since they met in college. 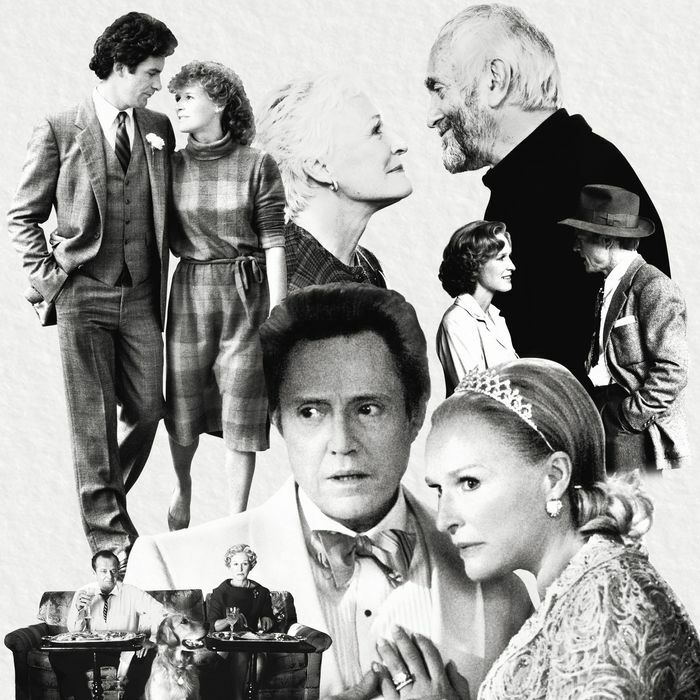 “Oh, he was a fabulous husband,” Close says of her partner in the 1983 dramedy, where eight college pals reunite to mourn their friend’s suicide. 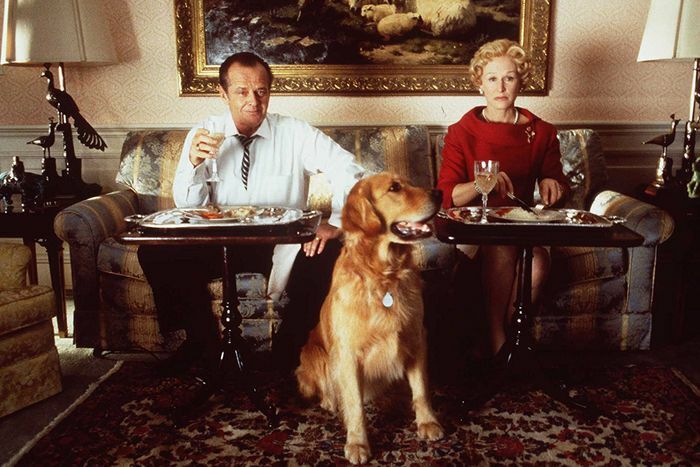 Close is Sarah Cooper, married to Harold (Kline), seemingly the most successful of the friends. There’s a reveal midway through: Sarah had an affair with their now-dead friend Alex (played by Kevin Costner, though his scenes were cut). 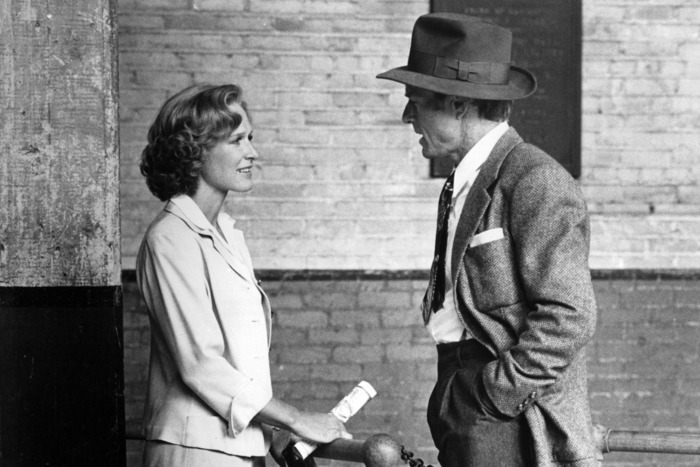 Roy Hobbs’s (Robert Redford) big-time baseball career takes off in The Natural, and he’s up at bat when he spots a familiar face: Out of nowhere appears his high-school sweetheart, Iris Gaines (Close). As teenagers they were in love, but Hobbs ditched her to pursue his sport, until a fling and an injury derailed his career the first time around. When he sees Iris, glowing thanks to an angelic backlight, it’s like a reawakening. Gaines comes to a few of his games before he comes home with her. Instead of falling into his arms, she keeps her distance, standing across the room to make conversation. She’s been a single mother for 16 years, she reveals, and the child is likely his. Iris isn’t trying to be romanced — she’s trying to figure out if Roy could be a good father to their son.